2018 has been a very good year for luxury car brands and the numbers achieved by Rolls-Royce Motor Cars bear testimony to this fact. The premier luxury carmaker witnessed a strong demand across its model range, with its flagship sedan, the Phantom, and its first-ever SUV offering, the newly-launched Cullian, becoming major growth drivers. Apart from besting its sales figures, the BMW-owned brand also managed to add 200 new employees to its workforce in 2018, making the total strength cross the 2k mark for the first time since 2003. Further, the first lot of the Cullinan SUV was delivered to discerning customers by the end of 2018, and the marque also claims that its forward order book for the Cullinan is already filled till the second half of 2019. In terms of the customer base, the Americas continued to remain the company's largest market in 2018. 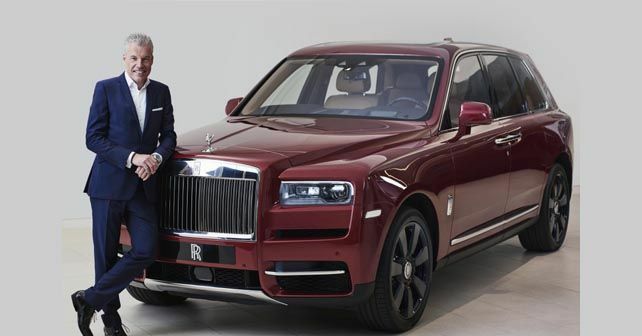 In December 2018, Rolls-Royce also launched the Cullinan in India at an ex-showroom price of ₹ 6.95 crore.